Are you desperate for effective parenting strategies to calm toddler tantrums? Or perhaps your preschooler (or older!) is having frequent meltdowns and you need help dealing? After all, the mindset of just. make. it. stop. isn’t enough. You want to help your child grow through these experiences, and heck, maybe for you to have some personal growth too. 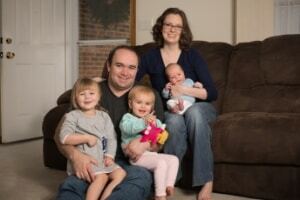 Here are some gentle parenting strategies to help you do just that. But first – Prevention is key! You can greatly reduce how often you deal with tantrums just using a few simple tips. Check them out below! 1. Make sure to have “floor time” with your child. Spend some time with your child (preferably daily) just doing what he wants to do. It’s called floor time because you’ll probably need to actually get down on the floor with him! Does he want to pretend that he’s a superhero and you’re the villain? Let him beat you. Does he want to play blocks? Let him direct you on exactly where to put the cube (even if it doesn’t look right to you!). 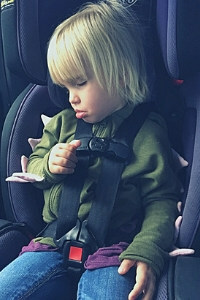 Floor time makes sure that your child feels connected to you (and therefore more secure and less prone to tantruming). Plus, if you let him call the shots, it gives him a chance to feel in control! Think about it: The times you absolutely lose it, it’s because you’re angry or afraid because you feel like you’re totally out of control, right? Most likely, you have tons of stuff going on that you feel like have spiraled beyond your control in that moment. Kids are the same way! Just having some time where he feels like he can have things go his way in a safe environment will make him less likely to fall apart when you really need him not to. 2. Find a fun way to get your kid to cooperate. It’s much easier to get your kids on your side when you use a playful tone. And there are lots of fun ways to ask your child to do what you need them to do. But wow, it’s so hard to do that when you’re already frustrated yourself! Want some ideas? Snag my FREE printable list of prompts designed to get your child to cooperate without yelling or nagging. 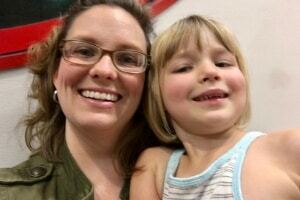 These are all tricks I’ve used successfully with my kids myself! Just stick the list on your fridge, and when you feel yourself getting frustrated, just look over for inspiration. Get the printable prompts here! We’ve all heard it: Children thrive on routine. The more she knows what to expect, the less likely your child is to feel out of control (see Point 1), and the more she’ll be able to cope with the day. 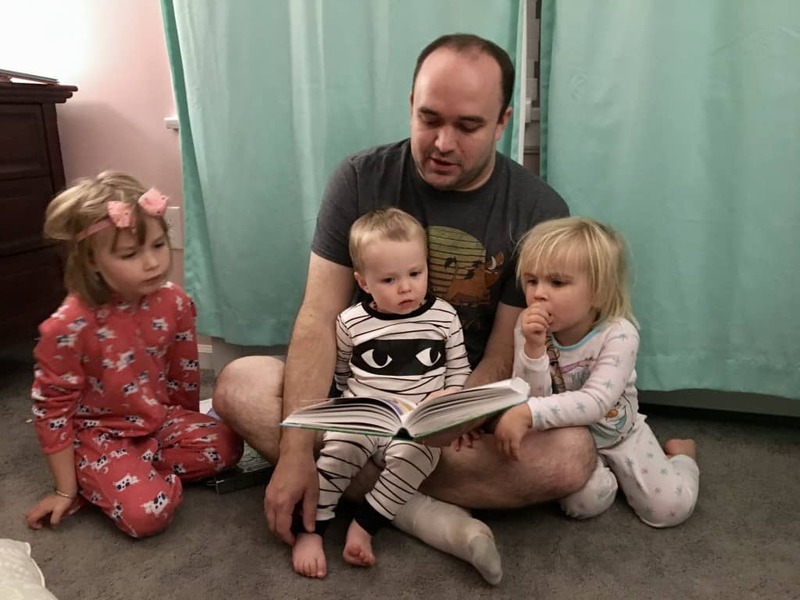 Story time is a great way to connect to your little ones! Of course there’s going to be days when you’re off your routine; that’s life! And messed-up routines are especially likely during holidays or travel. On top of that, if you’re dealing with holidays or travel, you’re probably going to see family, which means you’re a little extra keyed-up about your kids being perfect little cherubs. So what do you do? 4. Pre-empt your kid being hungry. It’s not just mommas that get hangry, ya’ll! Try to have regular meal times with snacks throughout the day for little ones. Not sure what to cook or have on hand? Check out my post about cheap and nutritious foods here! 5. Ditto about your kid being tired. Just like how you’re more emotional when you’re tired, so is your kid. Try to keep that routine going with a reasonable bedtime and include the appropriate number of naps for your little one. Naps on the run are better than nothing, but if you can get home for rest time, that’s best. 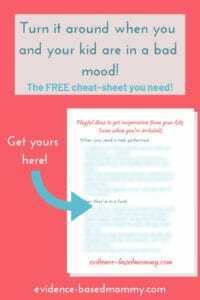 So what if you did all you can do to preempt, but your kid still had a melt down? That’s just life. The next question is, what do you do to handle the tantrum in the most effective way possible? 6. Get yourself calmed first. 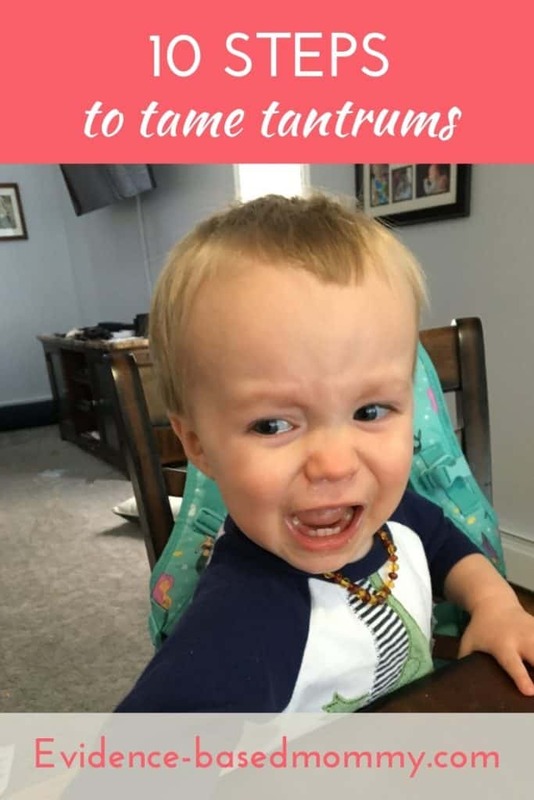 Some of us get really triggered when our toddler has a tantrum. Maybe because you weren’t allowed to express your feelings as a child (“Stop crying or I’ll give you something to cry about!” is always a classic filed under worst things ever to say to your kid that I’m betting more than one of us heard), or maybe just because you’re uncomfortable with unpleasant emotions, but your stress will not help your child calm down. and just close my eyes. Even if I literally have a kid clinging to my legs and wailing. I just close my eyes and take a deep, calming breath or two. I then think through how I’m going to handle the situation, and tell myself something that lets me feel some sense of control (back to Point #1 again). A favorite mantra from Dr. Laura Markham is, “This is not an emergency.” Which is true! No one is bleeding, the house isn’t on fire, there’s just some loud creatures who come up to knee-level surrounding you. They aren’t really hurting you. And hey, if someone is bleeding, your panic won’t fix it. Another favorite affirmation from a book I recently read is “There is nothing wrong in this moment.” And again, if you take time to think about it, it’s really true! Like, your kids are yelling, but that’s nothing you can’t handle. You won’t be able to effectively help your child calm down until you learn how to calm yourself down. You won't be able to effectively help your child calm down until you learn how to calm yourself down. I’ll be honest, if I had stumbled across this post three and a half years ago (through some weird tear in the space-time continuum, I guess), I would have read this section and would have been indignant. In fact, pissed would probably be the more accurate description. Oh sure, just stay calm, this whacko says. There’s nothing wrong, she says. Have you been in my house?! Have you SEEN how stressful it is?! If you’re feeling that way when you read this, I soooo get you. Being able to handle things this way takes practice. Like years of practice, and sometimes I still blow it. But start trying today, and you and your child will be better for it. 7. Get down on your child’s level. Towering over her telling her to calm down isn’t going to help. Kneel down to where your child is. She will likely be too upset to look you in the eyes, but your presence will help. 8. Empathize while not giving into your child. And don’t let them hit you or otherwise hurt you. If that starts happening, say, “We do not hit. 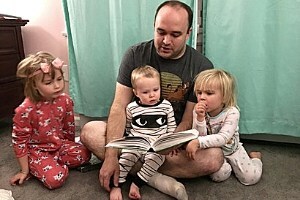 I’m going to stay over here (not out of the room, just away from the flying hands) until you stop hitting.” If they’re really little (like one or two), you can instead gently hold their hands down so that they don’t hit while still holding them. Does this reaction sound impossible? Back to Step #5. If your little one is so lost in screaming and/or crying that they can’t hear you, just wait them out. You can sit there with them, whether they’re in your lap or just a little a way, and be a patient, calm presence in the middle of their storm. When General Leia was two and three, she would throw epic tantrums. Like really epic. I would hold her and she would fight against me and scream. Not always, but often I was able to stay calm and tell her I was there for her, all while she continued fighting like this. After we had times like this, she would be a lot easier to deal with than she had been for days! Believe it or not, the struggle that toddlers give you during a tantrum actually helps them release pent-up emotions so they don’t stay bottled up. That’s so not okay, right? It’s not okay to tell your child that either. And it’s true, getting the green sippy cup instead of the pink is not the same scale as the adult situations I described above. But your child doesn’t have the experience to know that yet. To him, everything is still make or break. That’s why he needs your help and empathy. 10. Teach your child coping strategies. Ever since my oldest was about two, I’ve been teaching her to close her eyes and breathe (pretty much the same as you do for yourself in step #5). I say, “Let’s take some nice, slow, deep breaths to help you calm down… Breathe in (inhale myself), breathe out (exhale myself). Breathe in, breathe out,” and so on until she actually starts to calm down. Now at five, she occasionally uses this strategy without my prompting if she feels stressed. It seems to really help her. And even if your kid is older, there’s no time like the present to start helping her cope! When my little Bella Bean pitches a fit (a good Southern expression, there), I take her to a quiet, private space in a different room and tell her I’m going to let her “get her mads and sads out.” It helps to give children a name for what they’re feeling. Even with little Budrow, I sometimes tell him, “Oh! you sound so frustrated!” or “Oh, that makes you so mad!” or whatever it looks like he’s feeling. Start when they’re little bitty, and by three they’ll start using the same language. Once again, have older kids? No time like the present. What’s the hardest part of dealing with tantrums? The hardest step of dealing with tantrums? Keeping yourself from getting triggered. If you can do that, the rest of the steps will be easy! That’s why I’ve developed a FREE printable of empowering mantra cards designed to help you stay calm during stressful situations. Plus, there’s a reminder card to help you calm down when you can feel yourself becoming overwhelmed. All of the cards are designed to be attractive yet simple, so you can use them as little reminders throughout your home. Download your copy today!